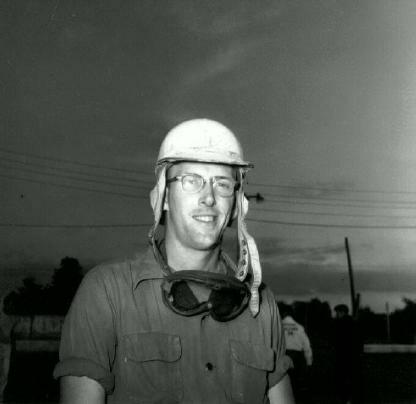 Mort Anderson was a friend of my dad, Ron Nielsen. I don't know how good of friends they were, but we visited them at their house several times. I remember the Anderson's race track they had out back where they would race their go cart. On one visit, I got the chance of my life (as a 10 year old kid) to run their go cart around for a few laps. Back then, if you had a go-cart, you were a God in my eyes. Well, stupid me, I got out of the groove and the track was like a washboard. I didn't get it - that the groove was nice and smooth - and I freaked out from the vibration and stopped after one lap. Everybody was hollering at me to move over into the groove, but I couldn't hear them above the Briggs and Stratton power plant, so I just pulled it over. I made up a story that my foot got caught in the pedals and it hurt, so I wanted to stop. Geesh, what a goofball I was. Well, it was a great day anyway, watching the others race around there. You could tell that racing was THE DEAL around this house. Mort was always cracking jokes and I remember my Dad and Mort laughing their butts off in the Anderson's kitchen like it was yesterday. It wasn't too long after that Mort was killed at the World 300 in Mobile, Alabama. I will never forget our go cart racing over there and what a great time we had. News of Mort's death hit hard around our house, and my parents saved these pictures and these articles. Thanks also to Jerry Vogel. I recently talked with the Andersons (actually, the family name is Andresen, for some reason, the racing fans always pronounced it "Anderson" (that settles that!)). The whole family pretty much lives around Greenville, Michigan and are racing fans. I talk with (Mort's son) Jim occasionally via email. 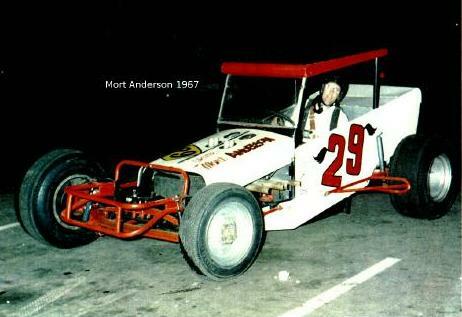 Jerry Vogel writes in:"I was a fan of Mort Anderson's myself as my dad was a team mate of Mort's in 1953 when they drove for Leonard Bannen. 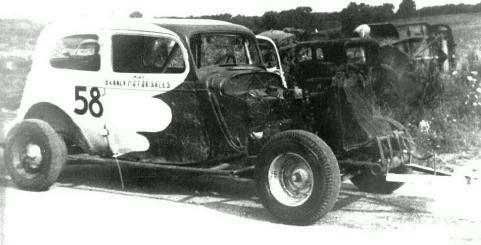 If you are familiar with any of the "Careless Kitty" cars Mort drove in the 50's you may be interested in knowing my dad drove the original. 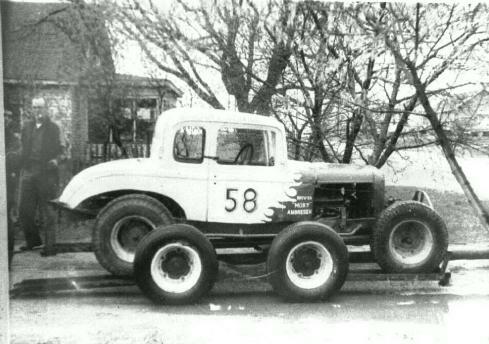 The first "C-K" was 33 Ford Victoria with a crude painting of a cat's face with a gotee (a likeness of my dad) done by Bannen's 10 year old daughter. 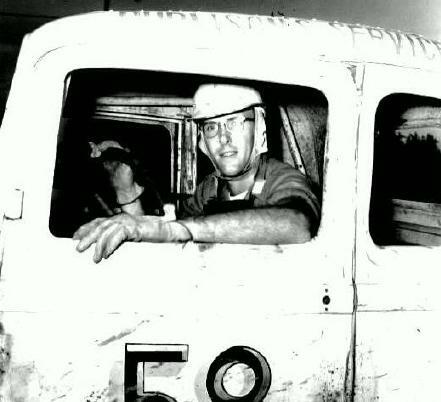 I was born in 1948 and was probably at the Grand Opening of the Grand Rapids Speedrome in 1950 as my dad was the second car to register and received the #2 and I have photos of myself, brother and parents in the pits in 1950."